March 19, 2018 | March 19, 2018 | Keith Olsen, Pharm. D., F.C.C.M., dean of the College of Pharmacy at the University of Arkansas for Medical Sciences (UAMS), recently was named chancellor of the American College of Critical Care Medicine (ACCM), becoming the first pharmacist to lead the national organization. Olsen has served on the Board of Regents of the ACCM for six years. As the most senior person on the board, he ran for secretary-general in 2016 and was elected. He next served as its vice chancellor, and as that term expired, Olsen assumed the office of chancellor at the recent Society of Critical Care Medicine Congress held in San Antonio, Texas. 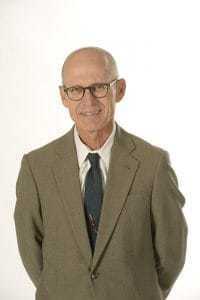 Dean Keith Olsen, Pharm.D., F.C.C.M. In 1977, Olsen earned his bachelor’s degree in chemistry from Wayne State College in Wayne, Nebraska, and in 1980 his doctor of pharmacy degree from University of Nebraska Medical Center (UNMC). After receiving his doctorate, he completed a residency in clinical pharmacy at UNMC. He was a member of the UAMS College of Pharmacy faculty from 1989 to 1993. From 2007 to 2015, Olsen served as chair of the Department of Pharmacy Practice at the UNMC College of Pharmacy. He specializes in critical care and infectious diseases, teaching and serving as the Infectious Disease Section coordinator for pharmacotherapy II and is a preceptor for the critical care and infectious diseases clerkships. The ACCM is a part of the larger Society of Critical Care Medicine. In addition to bestowing honors and fellowship status on clinicians, the college is responsible for developing about 25 of the guidelines for best practices used nationwide in intensive care units. The guidelines cover everything from managing sepsis, sedation-pain-analgesia-delirium and how to use mechanical ventilation for a patient.